"The Federal Emergency Management Agency, FEMA, and the Federal Communications Commission, FCC, will conduct a nationwide test of the Emergency Alert System and the Wireless Emergency Arts on Wednesday, Oct. 3. 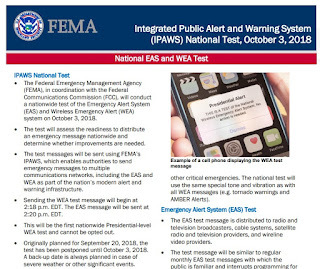 The WEA test message will appear on mobile phones and will read, “THIS IS A TEST of the National Wireless Emergency Alert System. 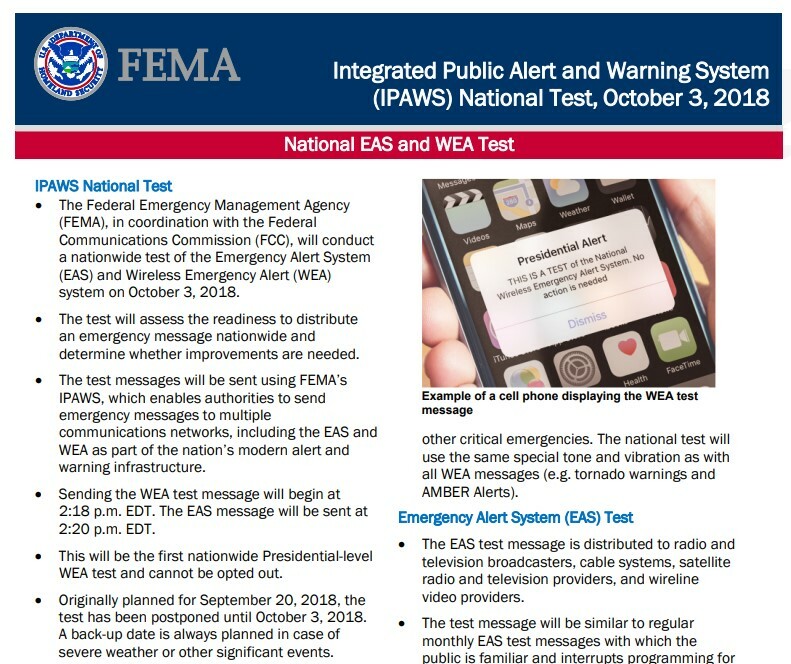 No action is needed.” Phones will display this national test using the header “Presidential Alert.” These nationwide alerts, established pursuant to the WARN Act of 2006, are meant for use in a national emergency and are the only type of alert that can be sent simultaneously nationwide by FEMA. Each phone should receive the message only once."